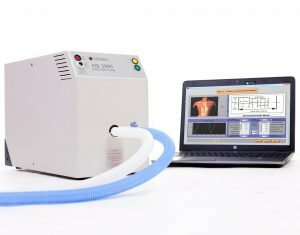 The ability to calibrate and service the ASL 5000 Breathing Simulator in a timely and efficient manner is a priority for IngMar Medical. We are pleased to announce that we have partnered with Coretec-Service GmbH in Linden, Germany to service our European customers. Coretec is accredited to EN ISO 13485:2012 + AC: 2012 (Certificate Nr. Q4N 15 02 66833 005). This means that you can be confident in your results when using your ASL 5000 for research, development, quality testing, and teaching. The ASL 5000 is a digitally controlled, high-fidelity breathing simulator used in the development and testing of respiratory devices (i.e. ventilators, CPAP, Aerosol Drug Delivery), and by educators to teach the concepts of mechanical ventilation. To request calibration and service in Europe, contact Coretec by clicking here. To learn more about IngMar Medical’s calibration and service offerings, in the US and worldwide, click here.